With lead commonly found in many household products for decades, lead poisoning is an ongoing concern. Children are especially susceptible to lead poisoning, both because their growing bodies absorb lead more readily, and because they tend to become exposed to lead more directly by ingesting contaminated dust, paint, or dirt. In 1992, Congress passed the Residential Lead-Based Paint Hazard Reduction Act, aka Title X of the Housing and Community Development Act. This legislation set up several important rules designed to help protect buyers and renters from unwittingly becoming exposed to lead contamination in their new homes. At minimum, sellers and landlords must disclose any known lead-based paint hazards to every prospective buyer or renter and give them a copy of an official lead safety pamphlet. Buyers must also be given 10 days to conduct their own inspection or risk assessment prior to signing a contract. 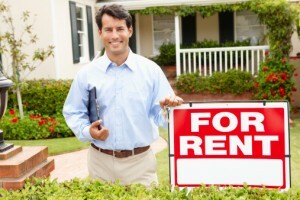 This last provision is noteworthy for landlords. H2 Environmental can conduct the professional inspections and lead testing that may be needed to prove that your property is free from contamination and therefor exempt from federal lead disclosure paperwork requirements. We can also work with real estate agents to help their buyers complete lead risk assessments and inspections prior to purchasing a property. If lead contamination is found in the building itself or in the surrounding soil, we can assist with the remediation steps necessary to clean up the site at neutralize the risk of lead poisoning. As an expert environmental consulting company, we have the knowledge needed to create a safe and effective lead contamination removal plan, as well as the connections needed to secure the best, most qualified contractors for the job. We will ensure that your lead abatement project is completed in a timely fashion using expert labs, safe remediation practices, and highly skilled, EPA Lead Safe certified workers. We’ll also help guide you through all the red tape associated with getting your property certified as clean and lead-free so that you can avoid certain Title X paperwork requirements in the future.